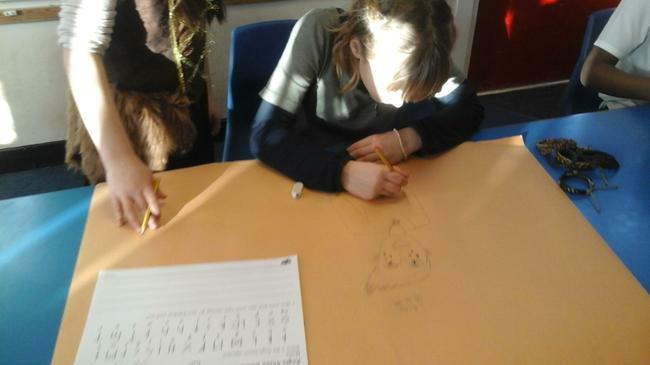 During Year 5’s Viking day, 5MB looked at the Vikings Religion - Paganiam - and the gods they believed in. 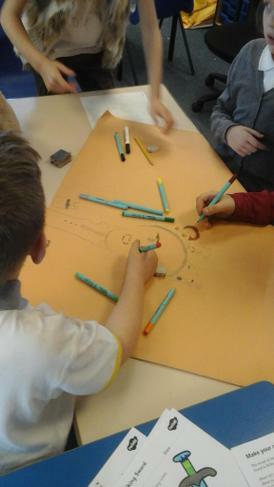 We then created our own gods to add the their pantheon and wrote Viking Myths based around our own gods and their relationship to the already existing gods, such as Thor, Odin and Freyja. 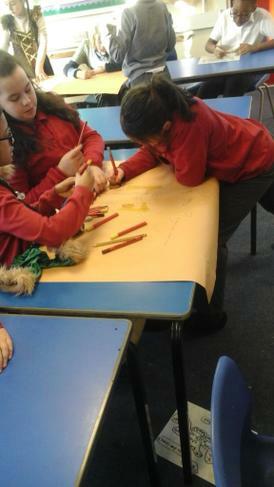 The children have been looking at the Sikh religion. They first looked at what the values of the religion are, how they have changed and where they stemmed from. The children learnt about the 5 K's and how important they were to the religion. 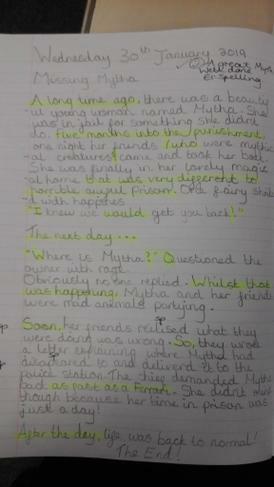 The children could confidently explain each of them to each other. 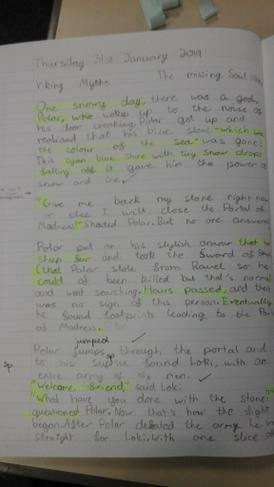 We then looked further into the religious and into some religious stories. The children listened to the story of "The milk and the Jasmine flower". We all discussed the importance of this story and how it is still important to be kind and have room for more things in this world. The children created a piece of work that showed what they felt we needed more of in the world. 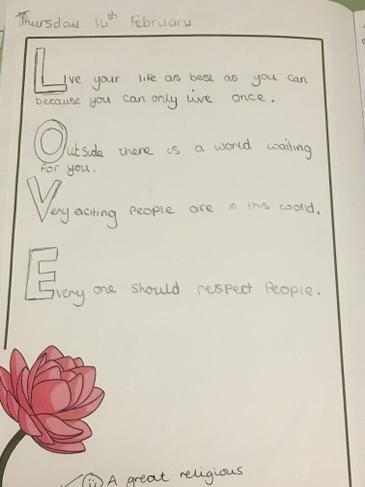 These were ideas such as: peace, love, kindness, happiness and creativity. If you would like to watch the story yourself, click on the link below. The children then chose one of these words and turned it into an acrostic poem. They are beautiful! 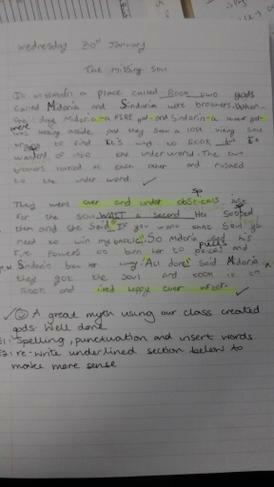 Our class have also been looking at Sikhism and the story of the lotus flower and jasmine milk. This story showed the children there is always more space for good, as is the belief of Sikh's. 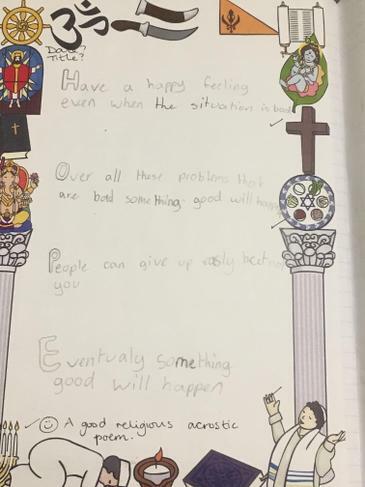 Using the words they felt when hearing this story, they created a religious acrostic poem about what religion is to them based on their experiences of the story. Here are some examples of their work.